This is the most simple chocolate cake in the world, made just for one person. 2. Crack the egg and add it to the mug. Be sure to mix it well to avoid any pockets of flour in the corner. 3. Pour in the milk and oil, mix well. 4. Add the chocolate chips if you’re using them and a splash of vanilla essence if you like. 7. Run a knife around the side of the mug and tip the warm cake out onto a plate. 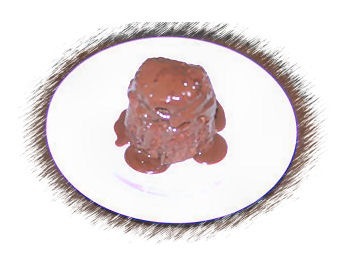 For an extra treat, drizzle some chocolate sauce over the cake.